What Will You Stamp? 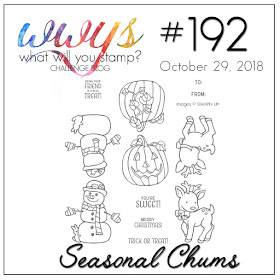 : WWYS #192 // Seasonal Chums. 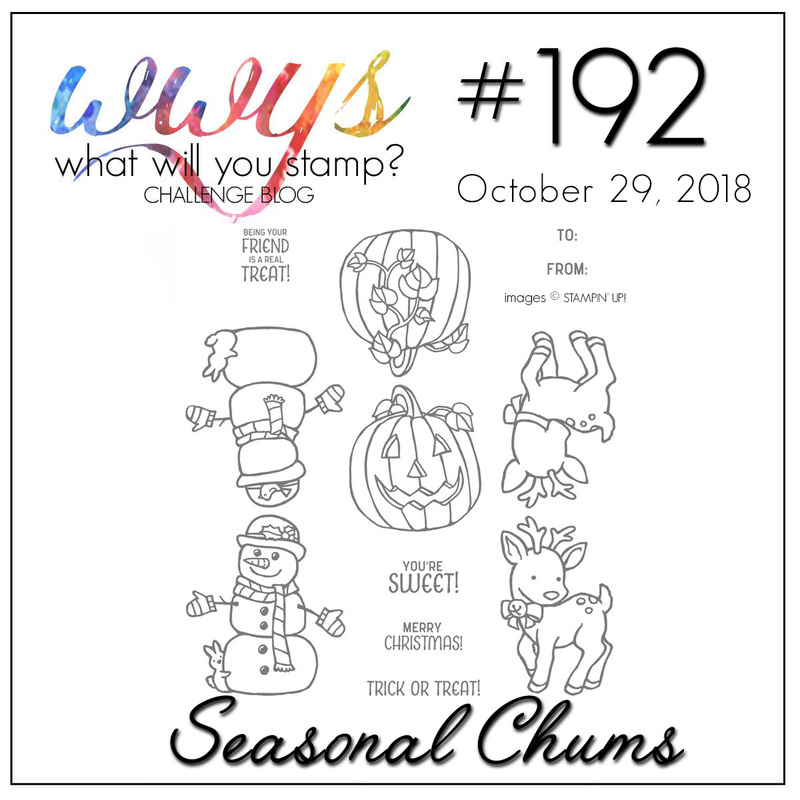 WWYS #192 // Seasonal Chums. 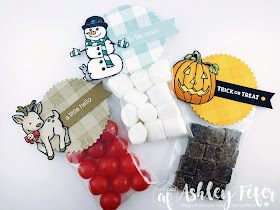 Are you ready for Halloween, Fall, Christmas and Winter? These little cuties are just what you need to make all those cards, tags, or crafty projects... Seasonal Chums! This week's guest designer, who submitted this beautiful card for #WWYS189, and won a chance to join us this week... Karen Finkle! To play along, please create a new project that uses the Stampin' Up! 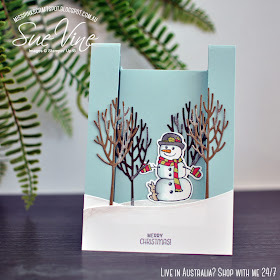 Seasonal Chums Stamp Set and upload it to your online gallery, blog or Instagram feed. Entry deadline is Saturday, November 3rd at 5:00 pm PST/8:00 EST. One lucky winner will be picked at random from all the contributions and announced on Sunday... that winner will get bragging rights and an invitation to join the challenge as our guest designer two weeks later! Please tag your project using #WWYS192 when you post it so that we can find it! When you use the InLinkz to add your project to this week's challenge, please make sure to provide a direct link to your post. Feel free to combine with other challenges or enter more than one project in this week's challenge! There is no time limit per se, but for the sake of sanity, the linky will only work for Monday-Saturday the week of the challenge. After that, please feel free to leave us a link in the comments for that challenge to share your creations!